Privacy Statement - English - Eisma Media Groep B.V.
Eisma Media Groep bv highly values the protection of the privacy of the personal and identifiable data which you provide us with. We also believe that it is important to inform you with regard to the manner in which we use your personal data and, besides, to offer you options on how these data are used. We therefore advise you to read through this privacy statement with care. This privacy statement applies to all information which is collected or used by Eisma Media Groep bv. This also regards information from this website or from one of the other websites of Eisma Media Groep bv (1) and off-line collections of data for commercial use which are managed by us. 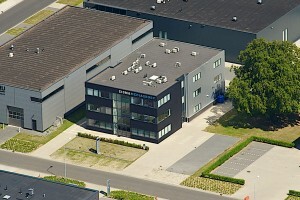 Eisma Media Groep (since 1874) is a publisher of high-quality information and communication products and services (e.g. professional journals, websites and e-mail newsletters, events/awards and teaching material) in various business-to-business and educational markets. 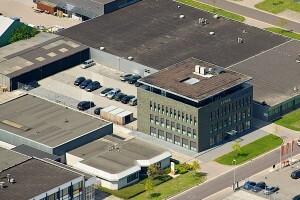 For more information on Eisma Media Groep we refer you to our profile page (in Dutch). When you visit our websites to view information, to read or download it, some ‘visitor’s data’ are collected and stored by us, such as the domain name and the hosting computer from which you are visiting the internet, the IP-address (Internet Protocol) of the computer you use, the date and time when you are visiting our website, and the internet address of the website from which you have been linked directly to our websites. With the aid of these data, we measure the traffic on our websites and we can improve our websites. In addition, we collect information such as your name, address, phone number, e-mail address and bank account number in case you purchase a (paid) product from us, such as a subscription. You can furnish your data through the internet in various ways, for example by filling out a (registration) form to participate in a contest, order or download a product, to take out a subscription or to request a newsletter. You can also provide us with your personal, identifiable data by contacting one of our collaborators by e-mail, phone, or letter. In most cases, we collect your data because it is necessary to implement an agreement. Take, for example, the delivery of a journal you have subscribed to, access to shielded information on a website, on-line applications or other services you use from us. Receive specific information, such as unique log-in data for a website or an on-line application. Participate in contests and competitions, whereby we can send you a confirmation of your participation or contact you in the event you’ve won a prize. Receive personal messages and special offers which are relevant for you. On the basis of your surfing behavior, for example, or the fact whether you open our newsletters or not, we can make sure that you receive offers for products of (advertisers of) Eisma which are in line with your fields of interest. Be more efficient over time by saving your preferences, for instance by saving the subjects you enjoy reading about, so that we can show you (news) reports about them. Or by saving your acceptance of cookies, so that you do not need to click on this option every time you visit one of our websites. Purchase products or services from us on the internet. For example, you do not need to fill out your data when you want to order a product in our web shop once you are logged in. It also enables us to conduct market surveys to further develop our magazines and to improve our customer services and our websites. We will ask for your permission for the use of your personal data for the above purposes beforehand. Eisma Media Groep bv only releases personal data if it is obligated by law to do so. We do NOT sell or provide your personal data to third parties, allowing them to use your personal data for their own purposes, unless permission has been granted for it. Eisma Media Groep bv does not provide personal financial data (such as credit card information) to other parties, unless it is necessary to handle your order, to process our invoice, to prevent fraud, or to counter it. Sometimes, our websites offer links to other websites. You must read the privacy policies on those sites carefully; they may deviate from our privacy statement. Some of our websites use ‘cookies’. Extensive information about the use thereof can be found on the websites of Eisma Media Groep bv, on the page about cookies. We acknowledge our responsibility to protect the data you entrust to us. Our provider makes use of various safe techniques to protect your data, including safe servers, firewalls, and the encryption of financial data. The websites of Eisma Media Groep, for example, use the SSL-protocol to encrypt communications between our servers and your browser. This secured connection can be identified by the letter ‘S’ in the HTTPS of the URL and the green padlock before the URL which most browsers show. By using an SSL-certificate, it is safe for you to visit our websites and to share information with us. Do not forget that personal, identifiable information which is posted on the website on your request (for example by reacting to a post) are also available to other users, and that you must be careful before you decide to share those data. 24 hours for location data. 12 months for data which were used for personalized marketing, analyses, and communications with you. 18 months for data which were necessary for the implementation of an agreement. We hope to get to know you better, so we are better able to be of service to you. The choice whether you wish to make use of this service, is entirely yours, however. If you do not want us to send you personalized offers or information, you can let us know by contacting us through our Customer Service. Call during office hours on 088 – 22 66 648 or send an e-mail to abonneren@eisma.nl. How do you get access to your data and how can you modify them? Once you have provided us with your personal, identifiable data, you have the right to object (to withdraw the permission granted previously), to peruse, to modify, to data-portability (the transfer of data) and the right to be forgotten. In some cases, you can peruse and/or modify your data yourself, for example if you have an on-line account for one of our websites or on-line applications. In all other cases, you can contact us through our Customer Services. Where can you turn to with questions or complaints? If you have questions about a subscription or the modification of your data, you can start by contacting our Customer Services. Call during office hours to 088 – 22 66 648 or send an e-mail to abonneren@eisma.nl. For complaints about the processing of your personal data by us or for questions regarding this Privacy Statement, you can send an e-mail to privacy@eisma.nl. We will do our utmost to answer your questions or to resolve a complaint. In the event you were still to be dissatisfied with the manner in which we handle your personal data, you can find more information about the steps you can take on the website of the Netherlands authority for the protection of privacy, ‘Autoriteit Persoonsgegevens’. The Data Protection Officer (DPO) of Eisma Media Groep bv is P. Feenstra, telephone: +31 88 29 44 800, e-mail: privacy@eisma.nl.